Eden Jones, a 17-year-old girl, feels lost after surviving a near fatal accident. Unable to connect with her family and friends, Eden forms an unlikely relationship with Joe, a boy who comes to the hospital to visit Jasmine, a friend who may soon be gone forever. Eden is the only person who can get through to Jasmine, but is she brave enough to face a world that’s bigger and more magical than she ever would have allowed? This one was an enjoyable one, without a doubt. It has a very interesting premise, one that I was immediately drawn to. The author handled the subject in a great way, making it interesting and thought-provoking. There wasn't even a single moment of boredom and by the last page, I was fully satisfied. And looking forward to finding other books that deal with this subject. Eden Jones before was a dancer. She was determined, she was focused, and sometimes may have come off as a snob. 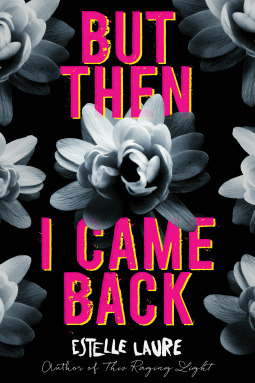 The Eden that came back, after a month in a coma, doesn't really know who she is anymore. She doesn't even feel like she is REALLY here, most of the time. One thing she does know is that she brought something back from In Between. And it has something to do with the girl in a coma down the hall from her. She is fascinated by the girl, making up stories about her life and who she is. She is also fascinated with the boy, the one who comes every day to bring flowers, always white, to the girl from In Between. After meeting the boy, Joe, and learning who Jaz really is, Eden is believes that she can get Jaz back, that she can still reach her, somehow, and wake her up. Eden's journey back from the In Between is a lot more than just waking up, it is figuring out who she really is. Remembering what matters the most. And finding an impossible love along the way. Eden Jones after is a friend, a daughter, a sister, and she is a dancer. And she might have found her ever after in a wonderful, broken boy named Joe. All because of a girl named Jaz, whom she met In Between. I thoroughly enjoyed this story. It isn't fast paced or full of action, but it is full of thought-provoking moments, and emotions that run the gamut. I loved watching Eden's struggle to rejoin the living, even though she felt drawn to that other place. Her relationship with Joe was intriguing from the onset, and I loved the progression of it. The addition of Jaz was an intriguing aspect of an already interesting story. My other favorite aspect of the story was the relationships between Eden and everyone in her life from before. The struggles they all faced, trying to find a new "happy medium" seemed very genuine. From beginning to end, I was intrigued with this story, and I am really glad that I was able to read and review it. I look forward to reading more from this awesome writer, and here's hoping that all of her book covers to come are as amazing as this one! I love reading books that make me think about the the world in a different way. Based on your review, this book will stay in my mind long after I finish reading it. Looking forward to reading this book.